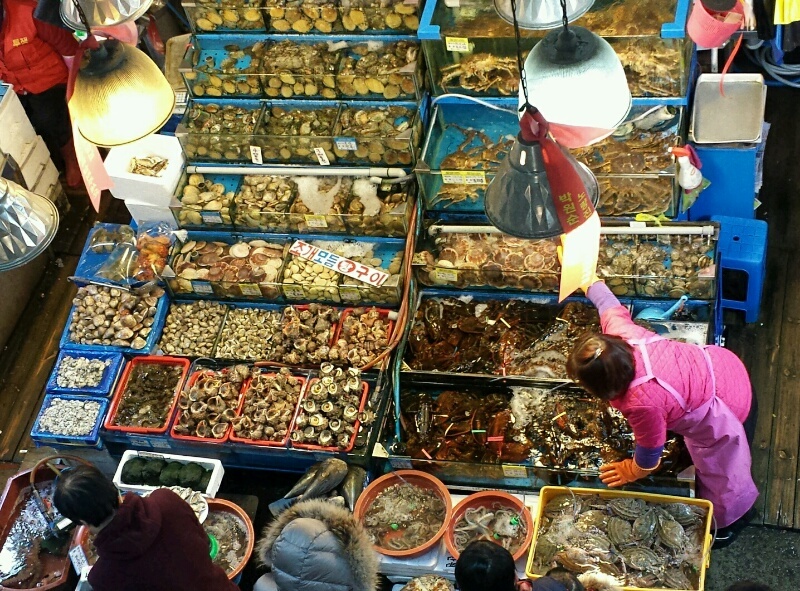 This one is an exclusively seafood market. 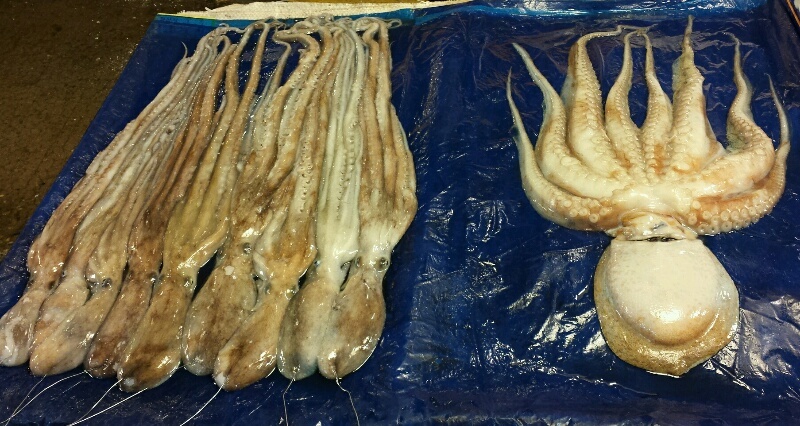 A big one. 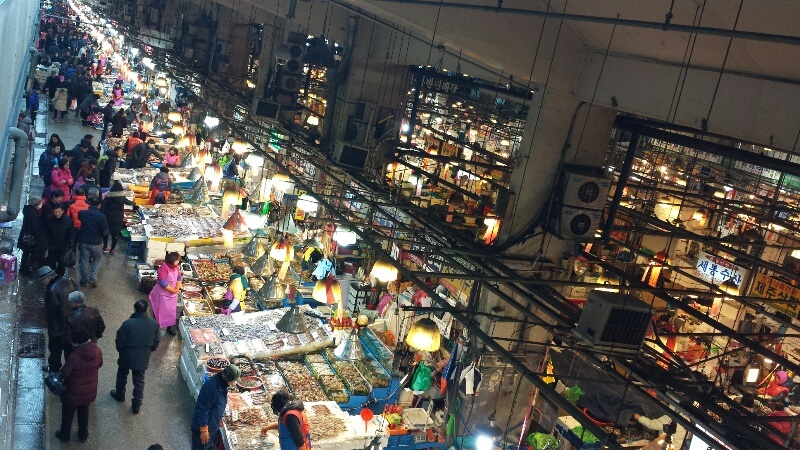 No such sort exist in the Philippines where seafood here are sold in a specific section of the palengke, or at some corner of the talipapa. 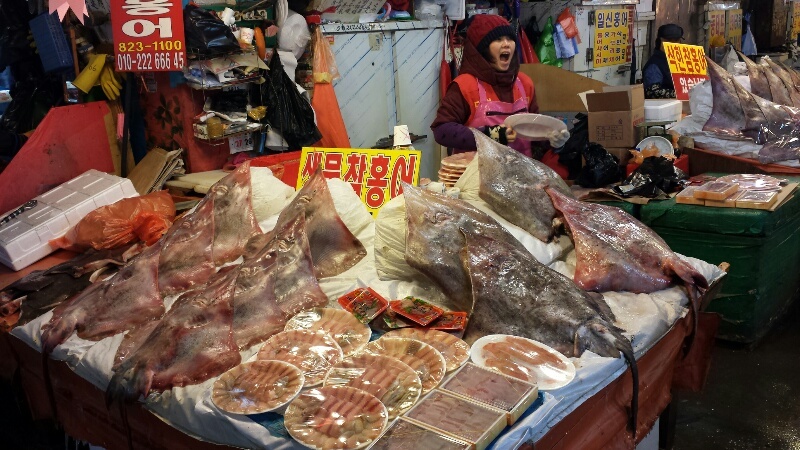 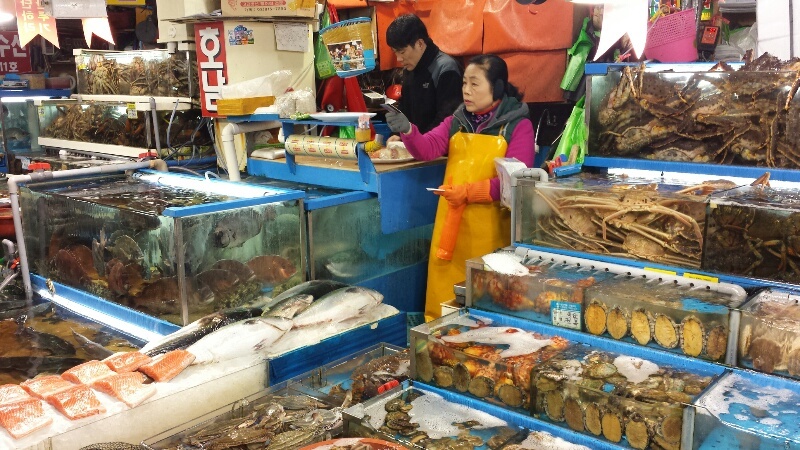 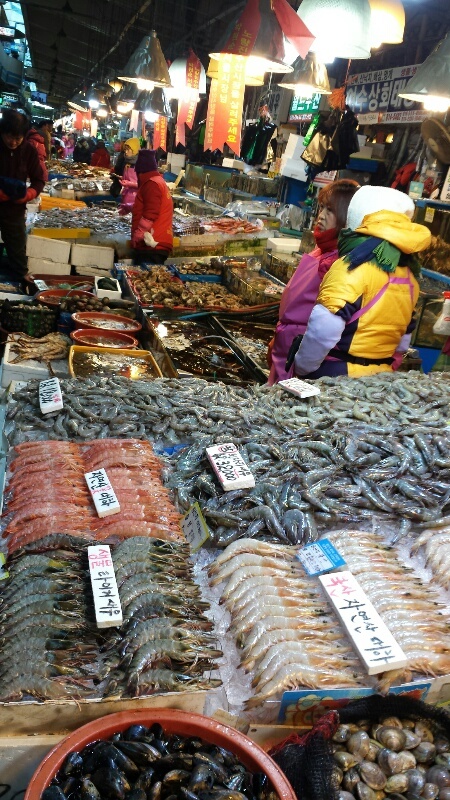 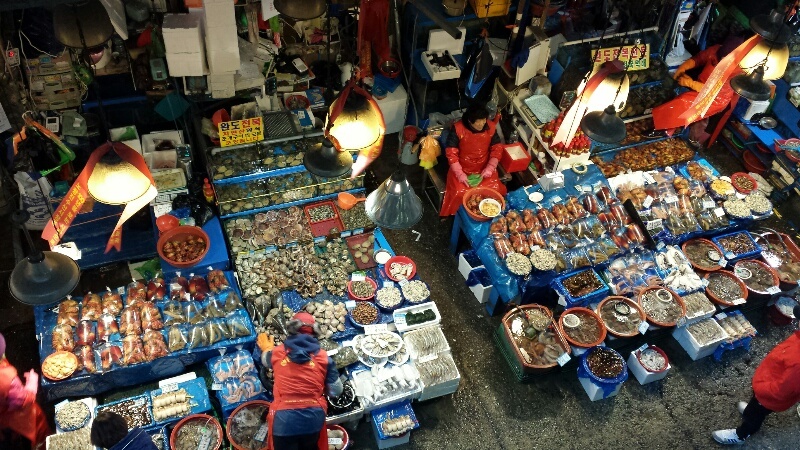 So at Noryangjin Fish Market with all its assortment of marine edibles where two-thirds of those I cannot identify, it was a wonderment to be inside, ogling unhurriedly at each edible curiosity, and hearing the din from the collective voices of the fishmongers. 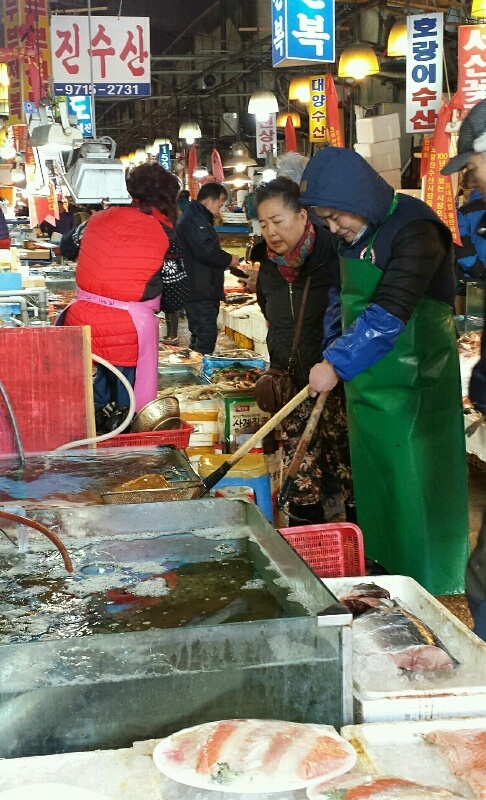 Obviously, they can tell that I was just an observer and not a potential customer, but I felt at ease because the ajummas and ajeossis don’t seem to mind, and they seem to understand that it was just a field trip of sort to me.